Another quick summary of this week’s First Minister Questions session from Cardiff Bay. First Minister Questions takes place every Tuesday when the Assembly is sitting and can be watched live via Senedd.tv. For those who have never ventured onto the Senedd site, you can view the session the below was taken from here, that allows a video player (along with creation of your own clips!) plus by clicking the ‘meeting information and papers’ link you are able to view all the supporting documentation, along with a link to the full transcript. Starting off, the Leader of the Opposition, Paul Davies AM (Con, Preseli Pembs. ), asked how long we could expect for a decision or recommendation to be made regarding the Newport bypass? Paul wasn’t happy; it was “one excuse after another”. Labour have dithered on the issue for 20 years and despite spending £44million on the public inquiry, we’re still waiting for a commitment. He called on the First Minister to share the report as soon as possible. The First Minister stuck to his guns and wasn’t going to budge; he’s bound by purdah rules. He did, however, maintain that the Senedd will get a binding vote on the project at the appropriate time. Adam said there were a string of public health problems: diabetes cases higher than anywhere else in the UK and 8% of the population in Gwent, there was last week’s Health Committee report on physical activity amongst children and 27% of three-and-four-year olds were either overweight or obese. 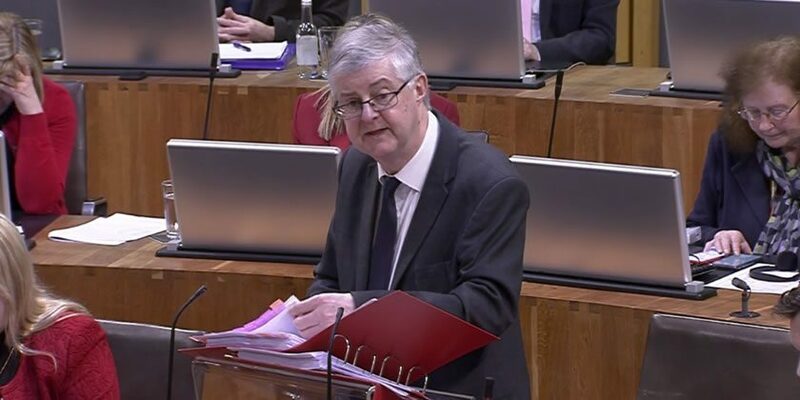 He accused the Welsh Government of not treating it with a sense of urgency, with commitments – like changes to the curriculum – earmarked for 2022 and later. The First Minister urged caution in the interpretation of life expectancy figures; the fall was very recent. There was only so much the government and NHS could be blamed for on this when the wider issue was poverty and the impact that has on diet and exercise. John Griffiths AM (Lab, Newport East) said that a person’s social class will determine a number of life outcomes from birth until death including education, health, life expectancy and job security; those born in lower income groups were disadvantaged, so what were the Welsh Government doing to create a fairer Wales?